Last edited by llamaboiz; 03-28-08 at 04:29 AM. Wow. Nice pix. Someone is at Ward I see. Can't wait to see the light mod Saturday. I really wanna see how it came out. Ha ha, congrats. Now you don't have to stand so far away from the car. Just remember to keep the lens straight so you don't get distorted photos. Love the lone coconut tree in your hood! haha who said i dont want distortion? Ben, i hope you check your PM, before you leave the house today, i'll be at kaka'ako and not ward, if they roll out before 1pm i'll then be at ward starbucks. Call me anyways to check where i'm at. Thnx for the heads up. Lucky I decided to check.....not like I don't come on here at least twice a day. Yup. To much people getting raided or pulled over. On Nimitz was passing by and seen 4 cops. 2 Camaro's and 2 on bikes. 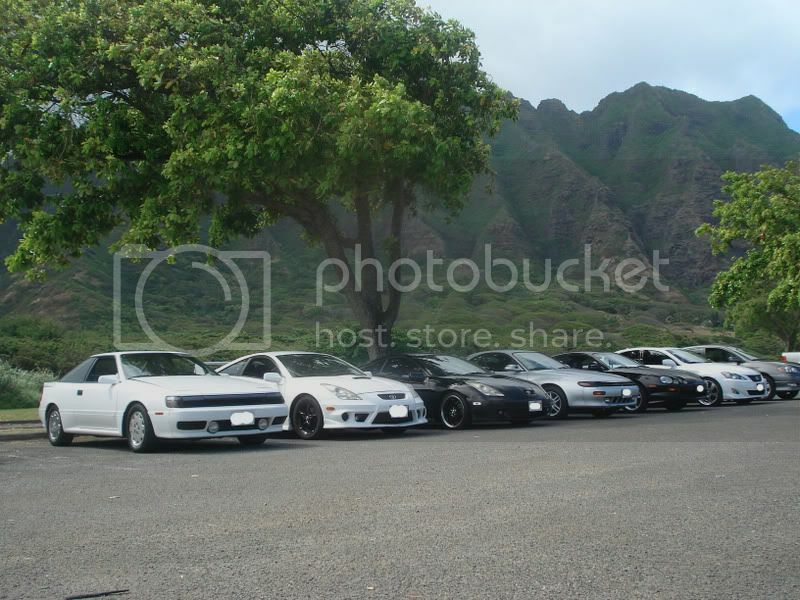 Hmm....the cars that got pulled over.....2 Honda hatchbacks, 1 Acura integra, and one Honda Prelude. Was really nice. Was to shame to walk by the cars, not because I didn't know them....just felt like I wasn't worthy enough to to step next to the cars, Well....a little of both.....hahah!!! wth is that guy trying to do with my car...??? Last edited by llamaboiz; 03-31-08 at 05:39 PM. Hahahahahah!!! ROFL!!! When was this?! Looks like he was trying to have a quickie before you turned around. He must of loved your car so much he just had to do it.